Want to meet the Arctic Spirit Rescue dogs and volunteers? Below are some of the upcoming events we will be at. Also, be sure to follow us on Facebook and Twitter to stay up to date on the latest Arctic Spirit Rescue appearances! Come out and meet some of our dogs and volunteers! We’re honored to be invited back to this great event in Green Lane, PA! Come out meet our dogs, volunteers, and learn how you can help! 11 AM – 2 PM. Meet some of our dogs and volunteers! 10 AM – 1 PM. Come out to meet some of our dogs and volunteers! 1 PM – 4 PM. Bring your pets to meet Santa! Purchase a photo and have some fun. 10 AM – 1 PM. Come shop for pet supplies and meet dogs and volunteers from ASR! Shop and help our dogs! Purchase a 25% off shopping pass good in any Boscov’s store (in store purchases) on October 16th for just $5. It’s not too early to start your holiday shopping! Purchase at our table at Boscov’s in Exton, PA on 10/14. Meet our volunteers and purchase your shopping pass for a 25% discount on Boscov’s in-store purchases on 10/16! 11 AM – 2 PM. Come shop for pet supplies and meet members of our rescue (dogs and humans!). Join us at the Pottstown Petco from 1:30 PM to 3:30 PM to learn about our Foster program! Join us at this popular 2-day event in Delaware. 11 AM – 2 PM. Come do shopping for pet supplies and meet members of our rescue (dogs and humans!). Learn more about adoption and other ways you can help. Join us at BVSPCA’s annual signature event. Meet our volunteers and the dogs. Learn about who are, what we do, and ways you can help. 8:30 AM – 12 PM. Join us for Arctic Spirit Rescue’s annual fundraising event! 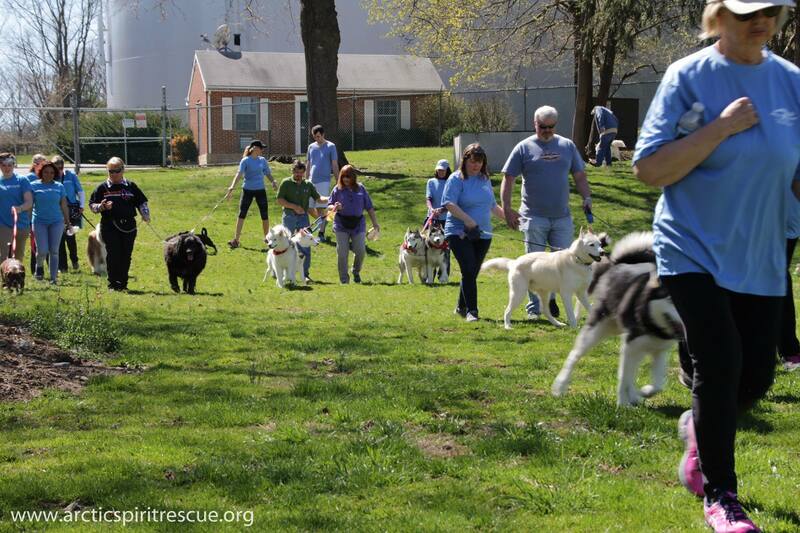 All proceeds for this 5K and 1 Mile Dog Walk support our ongoing efforts to rescue and connect Northern dog breeds with their forever homes. All who pre-register by April 3rd guaranteed a Technical T-shirt, race day registrants while supplies last. 10 AM – 1 PM. Visit our volunteers and meet a dog or two! 12 PM – 2 PM.